Silicon dioxide (from Silicic acid gel), Preservatives: Sorbic acid (E200), Sodium benzoate (E211). Take 1 tablespoonful (15ml) three times daily, preferably before meals. Can be taken either undiluted or diluted with water. 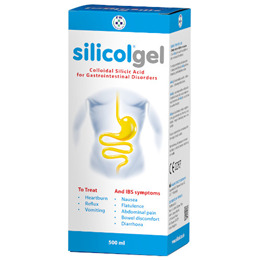 After acute symptoms ease, treatment with silicolgel can continue for another few days. Shake bottle well before use. Take at least 1 hour before or after the intake of medicines. 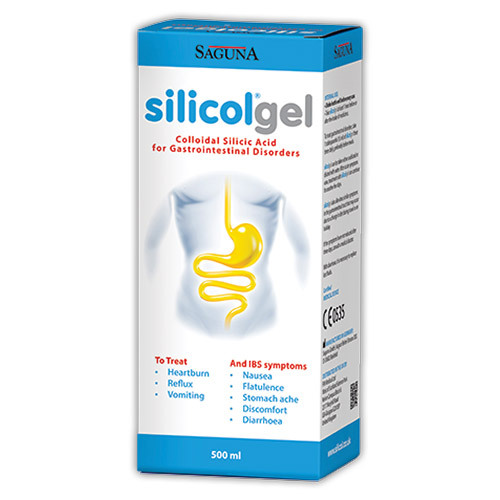 Below are reviews of Saguna Silicolgel Colloidal Silicic Acid - 500ml by bodykind customers. If you have tried this product we'd love to hear what you think so please leave a review.